The Empire Carol Rose 36" Traditional Vent Free Stainless Steel Outdoor Fireplace is a traditional fireplace that will complete your outdoor living space. With its stainless steel facade, traditional refractory liners and a log set with an outdoor rated burner this complete fireplace system perfectly reflects traditional outdoor living. This burner can be congifured with a millivolt or intermittent control system. The millivolt version of the Harmony burner features a standing pilot that is always ready to light. The IP system fits an eco-friendly lifestyle by eliminating a standing pilot for energy savings and reduced emissions. The intermittent system includes a variable remote control. With its concealed design, your outdoor fireplace will present a clean, sleek look. The optional folding glass doors help keep out leaves and debris, but open quickly when you are ready to light a fire. 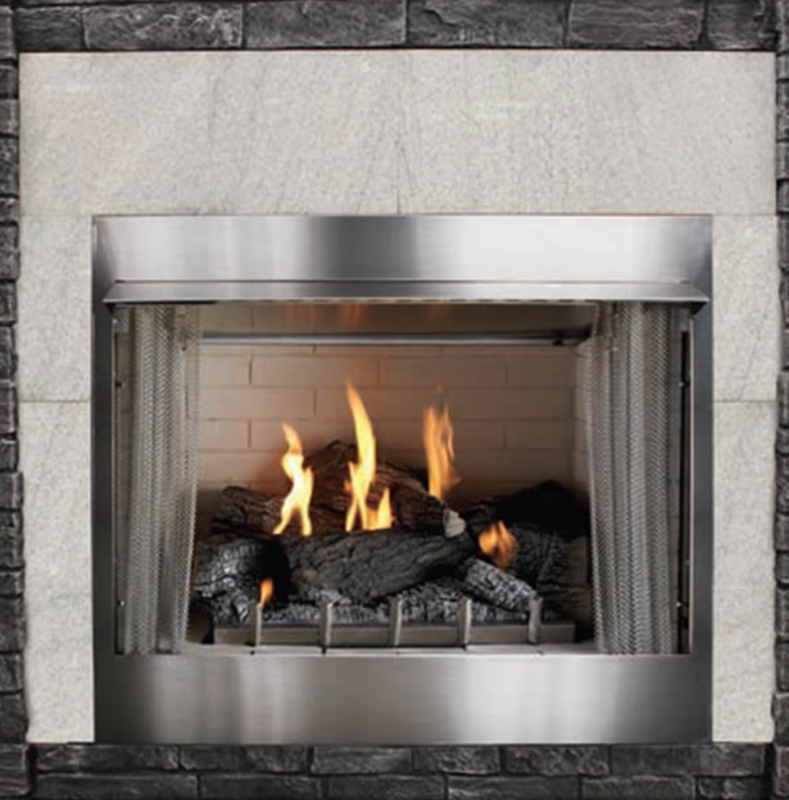 The optional stainless steel cover to completely enclose your fireplace when not in use. The optional drain tray is also available to help control and re-direct any moisture that collects beneath the firebox.